Newborns photo shoots are recommended during the first 10 days of life when the baby is sleeping. Headbands measure 13 inches for newborns. 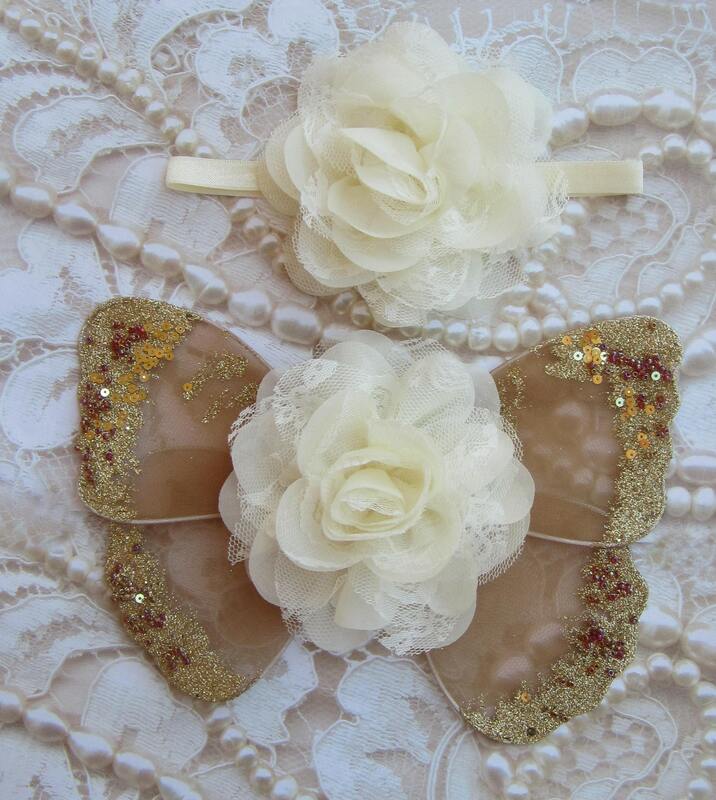 Wings are 8 inches wide and 5 inches deep (approximately). 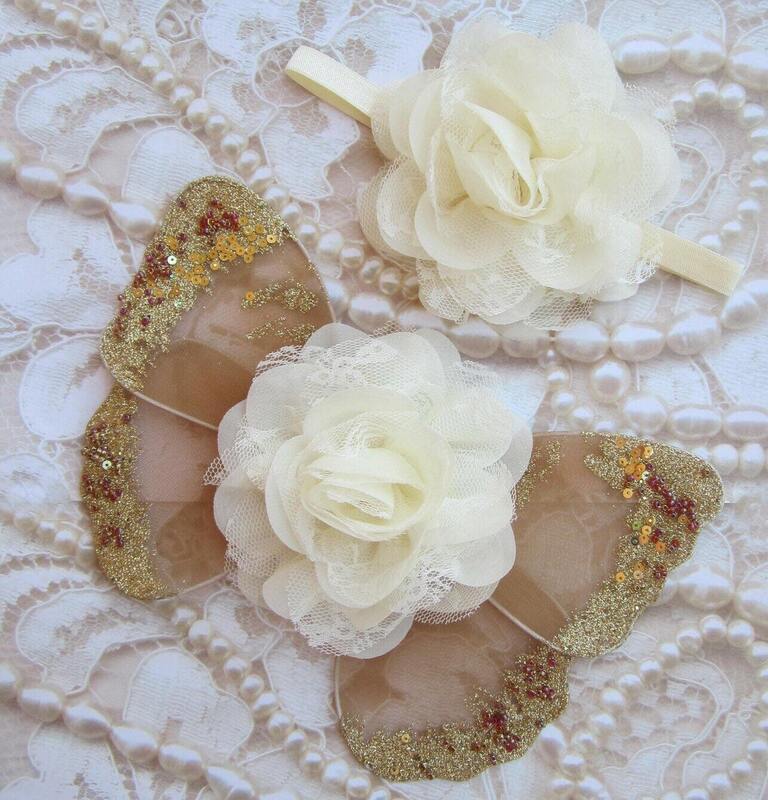 Purchase the headband only, the wings only, or the complete set. Choose in the drop down menu. Not intended for use with older children. Photo of pink set is for information only. The flower in this set is the same size as that one. 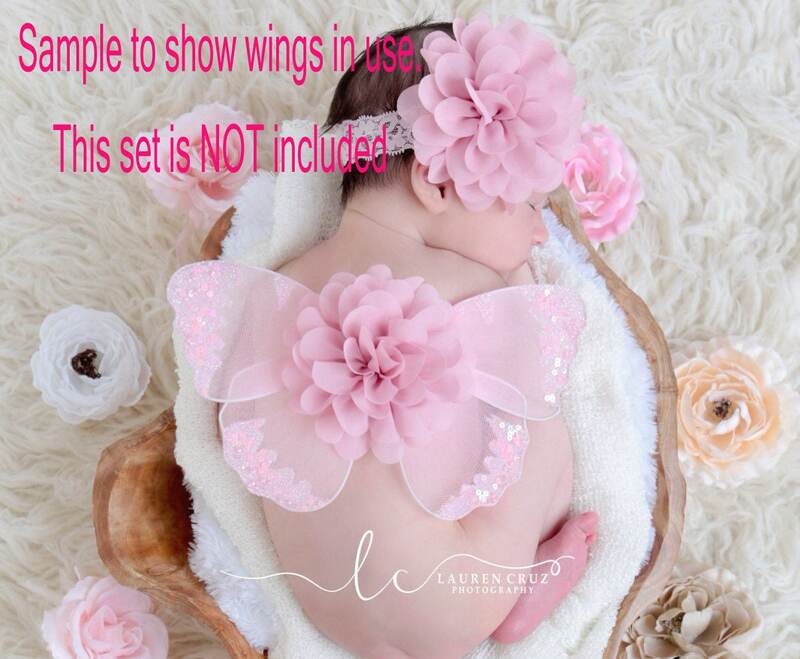 This is just to show how the wings look on a newborn.